Today we’d like to introduce you to Karen Torres. I was born and raised in Chicago’s Rogers Park neighborhood to Colombian parents. My grandparents, aunts, uncles, and cousins all lived in Colombia. Growing up so far away from family, culture, and traditions were really hard for me. Sure, my parents had a network Colombian families that formed a surrogate family that is still strong today. But I needed my own cousins and I needed to learn more about where I came from. Luckily, my mother was a teacher and took my brother and I to Colombia about every other summer. There we would spend hours playing UNO with our cousins, celebrated birthdays, and practiced our Spanish. My favorite part of each trip was the time spent at the markets, museums, and central plazas. On each trip, I would seek out and absorb new sights and sounds and smells of Colombia’s people, it’s arts, and it’s culture. I was especially drawn to Colombia’s diversity in indigenous peoples, each with their signature handicraft. While my cousins would grill me on the latest fashion trends of American malls and whether Reebok or Nike was “in” that year, I was begging to go to the farmers’ markets. Where my cousin’s sawflies and stray dogs, I saw a rainbow of fruits and vegetables, and strong Colombian women selling potatoes picked with their own hands while catching up with the latest gossip. So while I’m known as the gringa in the family, I identify as a Colombian-Gringa. 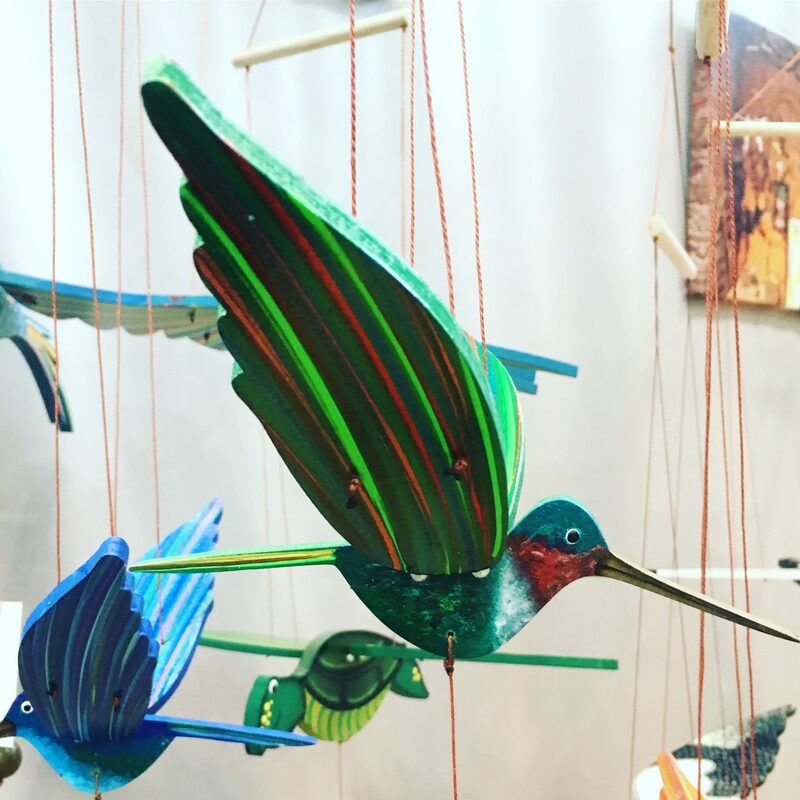 Living and working in Chicago, and going to summer art festivals, I noticed no one was importing handmade goods from Colombia. I searched in all the fair trade retail stores and found very little of the signature handicrafts I had come to know. 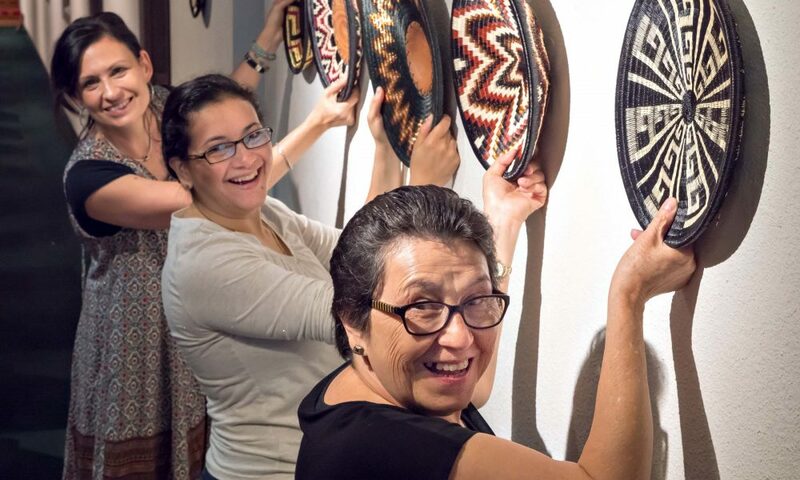 Seeing a business opportunity, I created Tulia’s Artisan Gallery as a way to show that art is Colombia’s other export and to connect with master artisans who empower and advocate for the betterment of their communities. Tulia’s is named after my maternal grandmother, Ana Tulia, who raised a family on the values of generosity, service, and unconditional love. But Tulia’s is really an homage to both of my grandmothers. For it was Ana Rosinda, my paternal grandmother, who persevered through “La Violencia” of the 1940’s, was forcibly displaced, endured unspeakable pain and sorrow, yet succeeded in sending all her surviving children to school. Today, when I travel to Colombia and meet with artisans, I hear the same story repeating itself. Colombia has over seven million people internally displaced (essentially refugees who haven’t crossed a border into another country). The displacement is usually from very rural areas into large metropolitan cities. Indigenous and Afro-Colombians are disproportionately affected by this displacement. 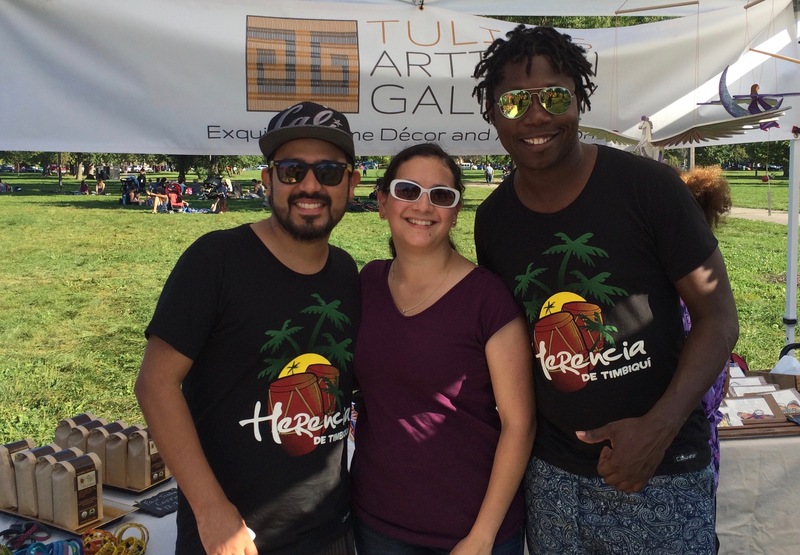 Tulia’s Artisan Gallery has been able to create jobs for these disenfranchised communities. 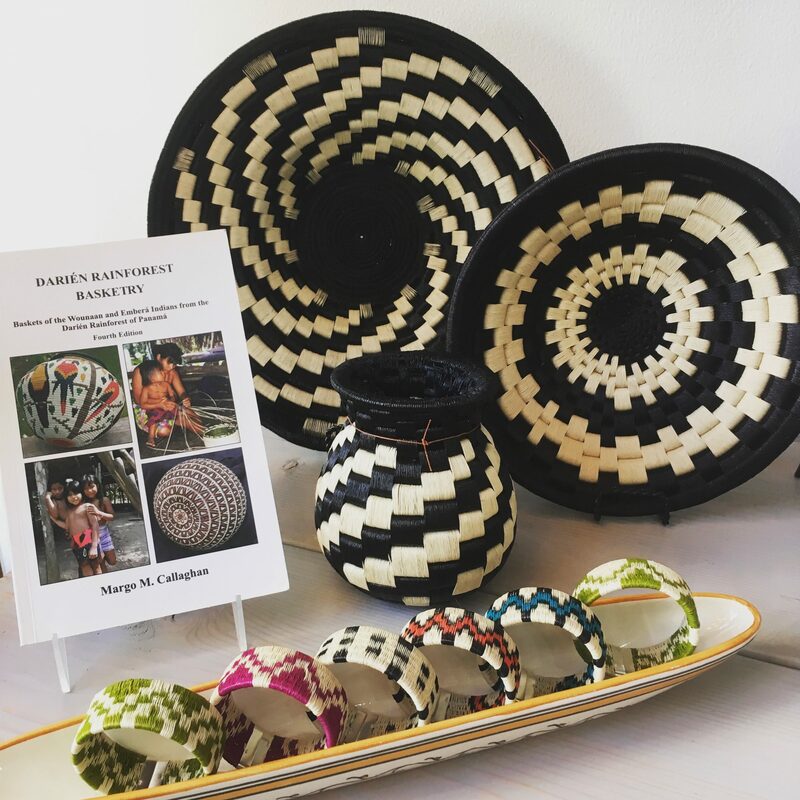 Today Tulia’s Artisan Gallery offers several different collections of home decor and accessories from various different artisan groups throughout Colombia. Tulia’s offers these products both wholesale, retail, and some are online at www.tulias.com. I got to where I am today through the unconditional support of my mother, husband, brother, and a wonderful network of fellow fair trade business owners. Through Chicago Fair Trade, I have found mentors and support and have been able to grow my business at my own pace. With two young children, I must balance work/life by consciously carve out memorable family time experiences. It has also been difficult managing the separation anxiety felt by my oldest child. In the beginning, it was extremely hard for her to see mom working extra hours on the weekends. We have worked through these issues together. Sometimes my daughters join me at events and both love to help out. I’ve also struggled with how best to respond to the needs of the artisans when their community is in crisis. Not being a 501c3, and lacking reliable non-profit partners in Colombia makes it difficult to collect donations when there are medical or mass displacement emergencies. Alright – so let’s talk business. 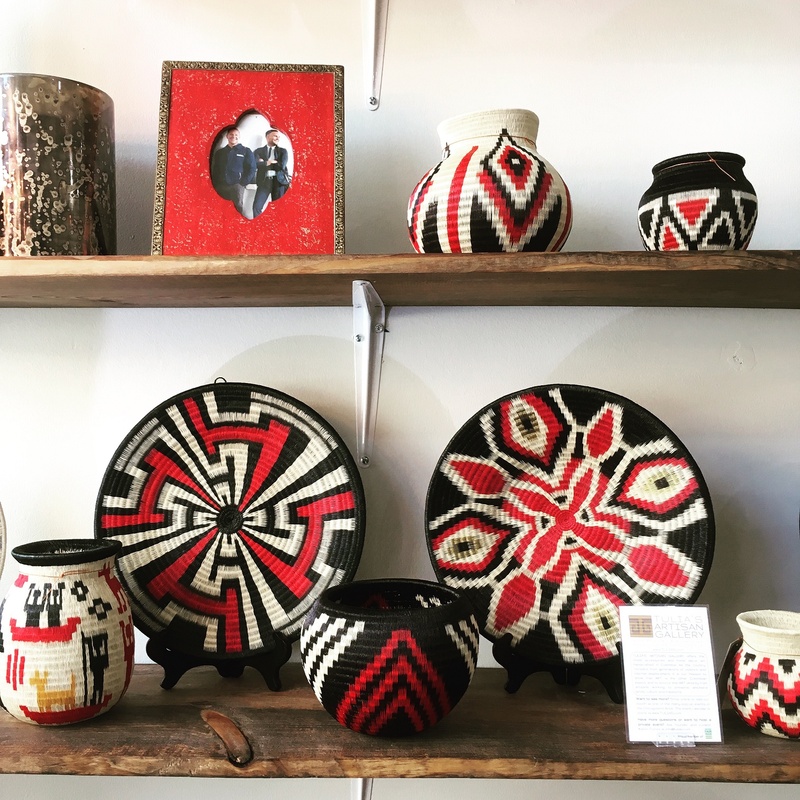 Tell us about Tulia’s Artisan Gallery – what should we know? 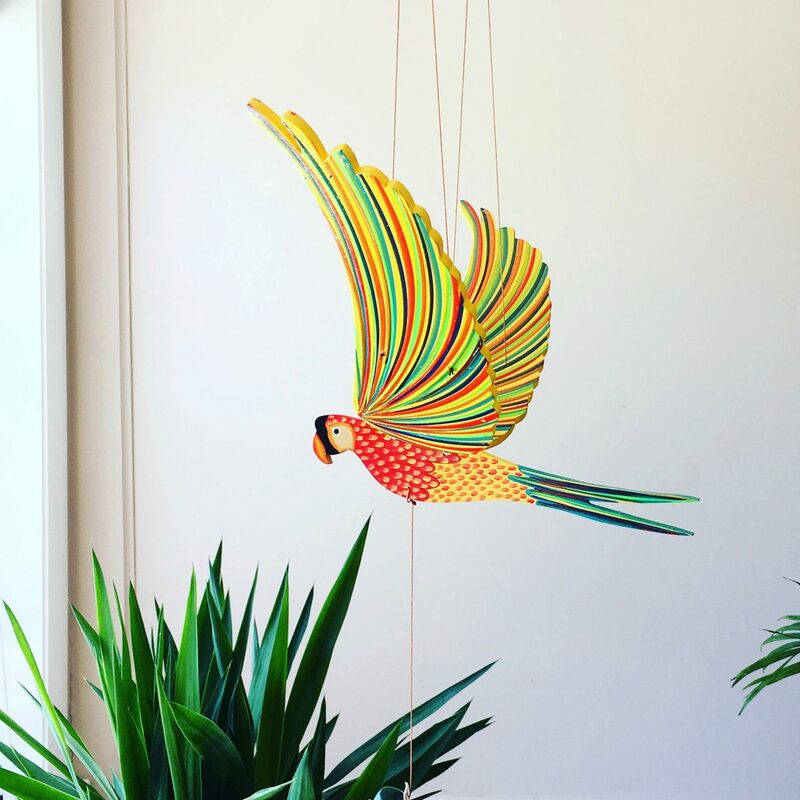 Tulia’s Artisan Gallery offers home decor art and accessories all handmade in Colombia. The different collections are all handmade by award-winning master artisans. 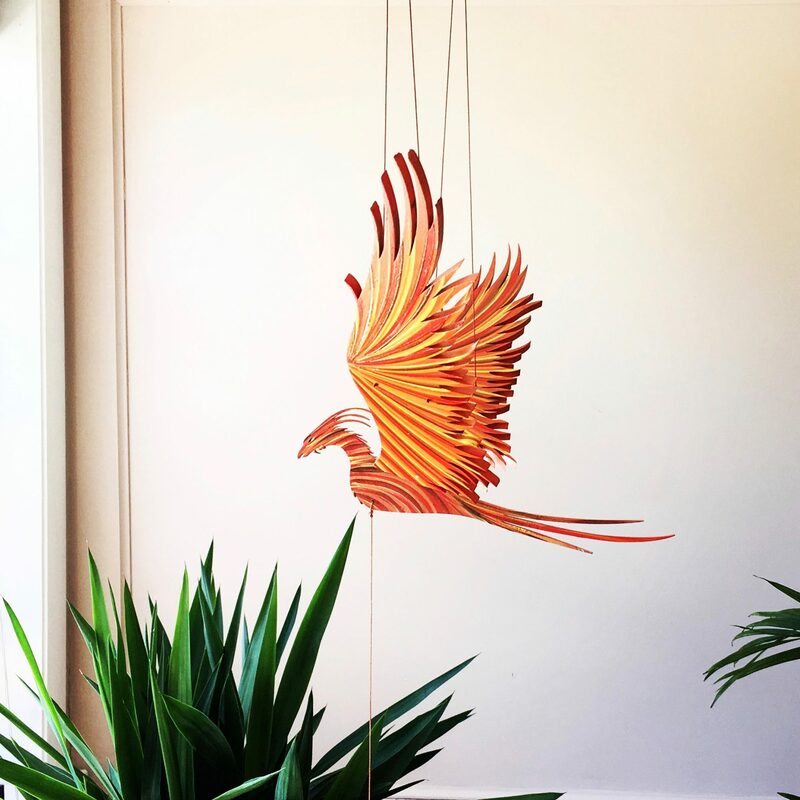 The most popular collection is the whimsical flying mobiles. Each is hand-painted in a rainbow of bright colors. All are available online at www.tulias.com. The heart of the collection is the Wounaan Art Baskets and Wounaan accessories. The Wounaan is one of the nearly 100 indigenous groups in Colombia. They are also one the 34 tribes at risk of cultural extinction due to forced displacement from the armed conflict. The Wounaan traditionally live in river-side villages along the Pacific coast of Colombia in the state of Choco. Many have displaced to larger cities like Buenaventura, Cali, and Bogota. Where ever they’ve settled, the Wounaan continue to work their traditional palm leaf baskets. 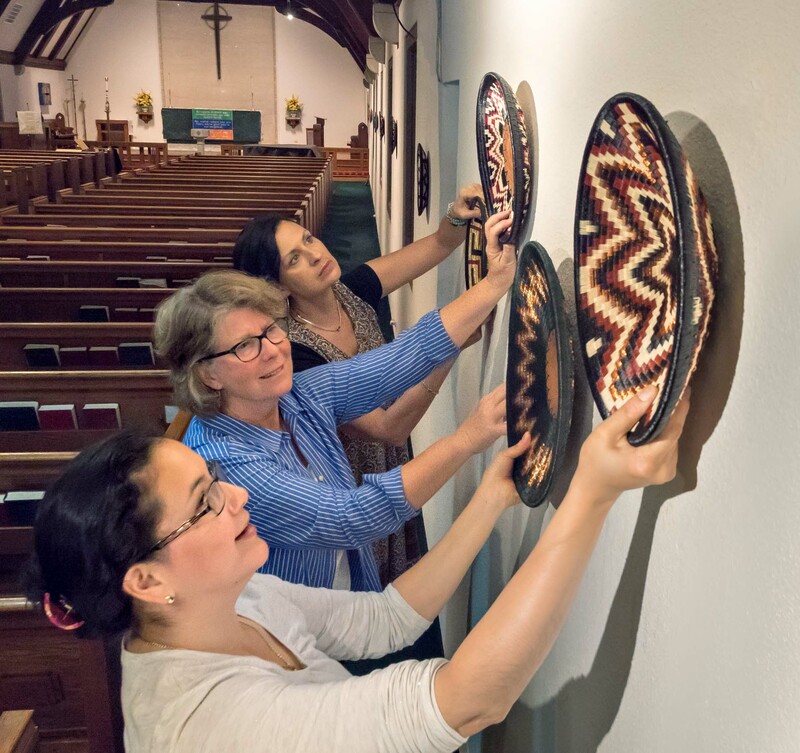 The baskets are constructed by sewing together thick coils shaped into vases, bowls, or plates. Some weavers can stitch as tight as two stitches per millimeter. Each basket is a work of art. I’m most proud of the work I’ve done with the Wounaan. I give back a portion of each sale to the Wounaan and together we’ve been building workshop space so the displaced artisans can work all together in one space with lots of natural light. We’ve also responded to medical emergencies by buying medicine and other supplies and sending it to the villages in Choco. We are looking for longer-term solutions to bringing desperately needed healthcare to these more remote areas of Colombia.